Over the last few years or so, messaging apps have been exploding left and right. There is Whatsapp and Kik for text. There is Snapchat and, as mentioned earlier, Tappi for photos and videos. But music has hardly been touched. 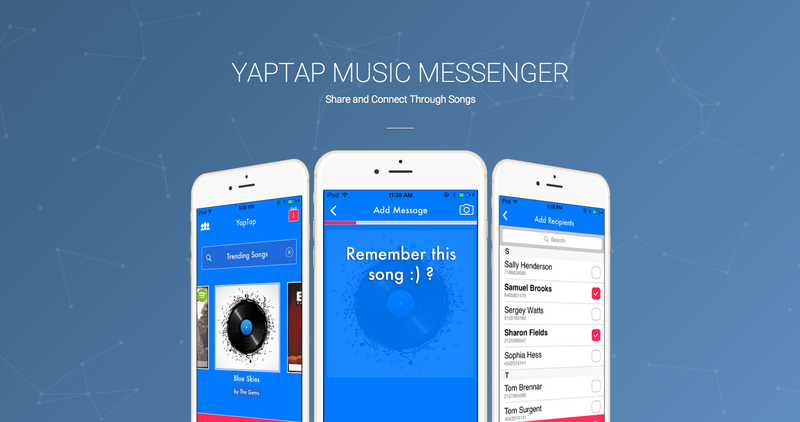 Yaptap, a music messaging app, is looking to change that. “Music evokes emotion in ways that other communication mediums do not,” says the company CEO. Yaptap uses Spotify’s API, which gives the app access to 30 million songs. After a user downloads the app, they can now send other users a “yap,” which is a short piece of a song. You simply type in a song or artist or search through Yaptap’s categories — which are categorized by emotions rather than genres). The person receiving the yap can also respond with a yap. The first version of the app was an audio messaging app, which had voice recording in addition to music. But, after pilot, the team noticed that majority of users preferred to use the music aspect rather than the voice recording, they decided to pivot a little. On the new version, users can respond to a yap by recording a response rather than send a song back. Users can also listen to the full song by tapping on the Spotify icon, which would take them to the Spotify app (if they have it) or to the Spotify web page. “Being able to communicate with music, with songs, it just brings you on a whole other level,” says Dan B.
Yaptap is also planning on having ad-sponsored yaps, so they can promote brands and, most especially, artists, who can use it to send fans snippets of a new song. The app is available in the app store for both iOS and android.